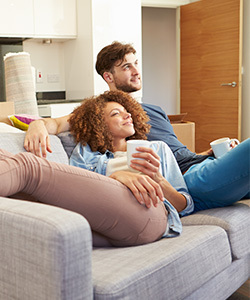 Did you know that most Americans spend about 90 percent of their time indoors? #1. Chances are, your home’s indoor air quality is poorer than you think. According to the Environmental Protection Agency (EPA), there are approximately five times more pollutants found in indoor air than in outdoor air. They estimate that some homes could even have up to 100 times more pollutants. It’s also important to note that indoor air pollution doesn’t discriminate. Several studies conducted by the EPA have confirmed that indoor air pollution exists in all types of homes, and in all types of locations. Common sources of indoor pollution include building materials, combustion sources, organic matter, chemical products and outdoor air pollution making its way inside. The EPA ranks indoor air quality among the most concerning environmental factors the United States faces today. #2. Many health concerns and diseases have been linked to poor indoor air quality. Think poor indoor air quality isn’t a problem? Think again. 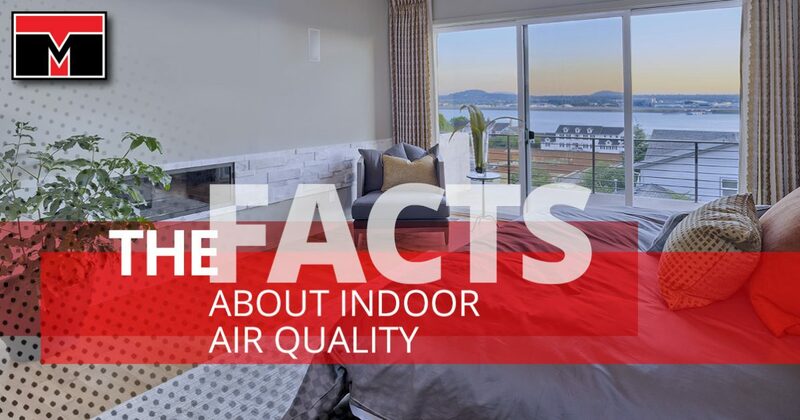 According to the American Heart Association, there is a link between poor indoor air quality and heart problems, and according to the American Lung Association, poor indoor air quality is one of the most common causes of lung cancer. Additionally, pediatric asthma rates are up by 72 percent, and poor indoor air quality has direct ties to causing the development of asthma in children, as well as increasing the risk of developing it. #3. Hundreds of dangerous chemicals are released in homes every day. Many of us use dangerous chemicals every day without even realizing it. These chemicals come from personal care products, household cleaning products, solvents and paints. These chemicals pollute our homes and deteriorate our indoor air quality, and they have been tied to allergic reactions, dizziness, nausea, skin irritation and even cancer. As much as possible, try to use natural products, and when you can’t, just be aware of the potential dangers that can come from using chemicals inside your home and make sure it’s well ventilated. #4. Second-hand smoke is, by far, the worst indoor pollutant. There are many sources of indoor air pollutant, but the worst offender is definitely second-hand smoke. Second-hand smoke contains over 200 types of poisons, which include carbon dioxide and formaldehyde. Additionally, it has at least 60 different chemicals that have been known to cause cancer. If you smoke, it’s essential to at least keep it outside. Find a solution to your home’s air quality with Tippett’s Mechanical. At Tippett’s Mechanical, we are proud to be your source for HVAC repairs and services in Las Vegas. If you are concerned about the indoor air quality in your home, contact us. We can help you improve the indoor air quality in your home in many different ways!